Laurent Charvin has only 10 ha of Châteauneuf-du-Pape. 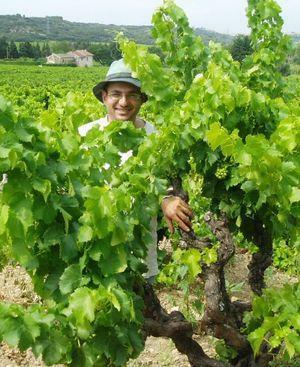 Until recently, Laurent was almost the only grower to still vinify traditionally, with whole-cluster fermentations. Now others are beginning to copy him. In addition to leaving the stems, Laurent's élevage is uniquely in concrete tank, no barrel. Laurent is regarded as one of the top wine-makers in the appellation by Guy Julien, famous owner of the restaurant Beaugraviere in Mondragon, as well as other top sommeliers and wine writers in France, with a two-star rating by Revue du Vin de France.